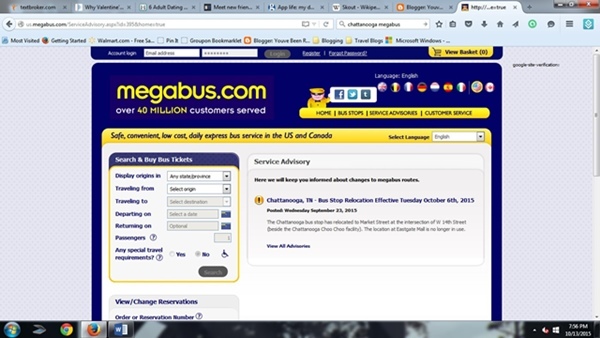 We have gotten word about another move of the Chattanooga Megabus stop. It is now located next to the Chattanooga Choo-Choo in downtown. The new stop is on Market Street at the intersection of W 14th Street. Tourists may find that the change will make it easier to access attractions like the Choo-Choo itself, Chattanooga Aquarium and other downtown attractions. The Chattanooga, Megabus stop has moved. As of the date of this article, the bus stop is no longer in the South Terrace shopping center. Instead, Megabus has moved the Chattanooga stop over to the east side of the Eastgate Complex. It's at the I-75 / I-24 split. The parking lot is at 5600 Brainerd Rd, 37411. Eastgate Complex that was once a tired shopping mall now has a new renovation and new life. A multi-million dollar renovation project gave it a new facelift, attracted companies and created other upgrades. Restaurants include China Moon is a buffet and a food court offers free WI-FI. The International Market puts a world of tasty dishes within reach of the Megabus stop. Sharon's Cafe and Jenn and Joe's Bistro are inside near the waterfall. 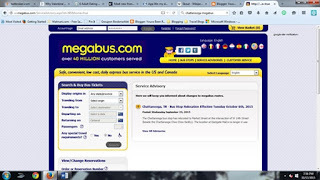 The new Megabus stop in Chattanooga is on on the Chattanooga Area Regional Transport Authority (CARTA) route. The system goes almost everywhere in the city. The Downtown Shuttle is free and stops every few minutes at the aquarium. Fares are reasonable. Adults are $1.50. Discounts are available for senior citizens, the disabled and schoolage children (ID required). Kids 5 and under ride for free. It looks like the Chattanooga Megabus stop has made it easier to visit the city. This may make a fun overnight trip from Knoxville or Atlanta. Low fares of $1 on every route make it impossible to beat the price. I've found the buses to be comfortable and enjoy the view from the upper deck (read more).